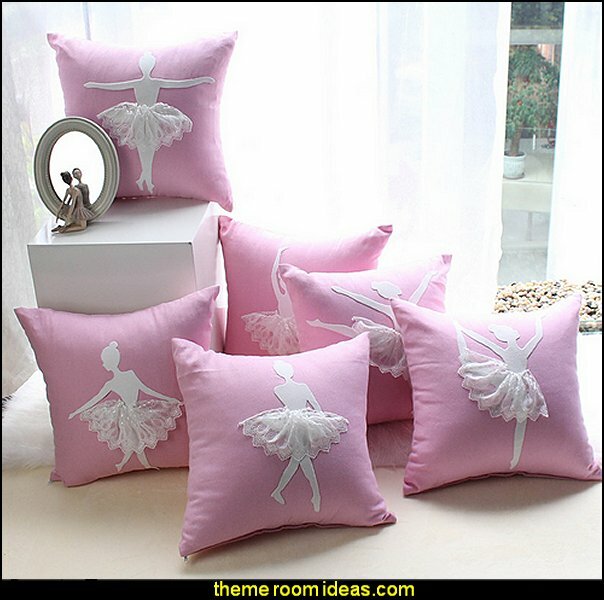 Drift off into a dancing dreamland. 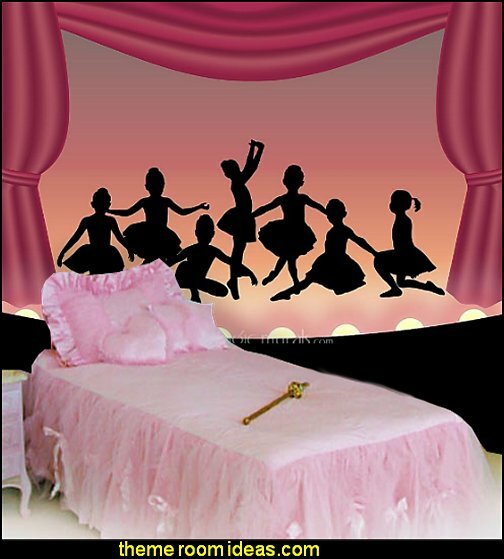 This pretty in pink ballet theme crib set uses a charming combination of 100% cotton adorned with satin ribbons. 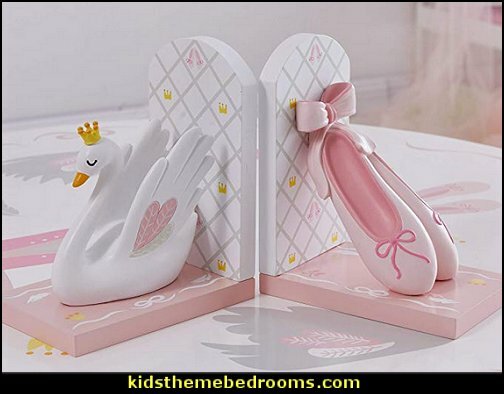 It also has detailed satin appliques of dancing ballerinas and pink embroidered ballet shoes. 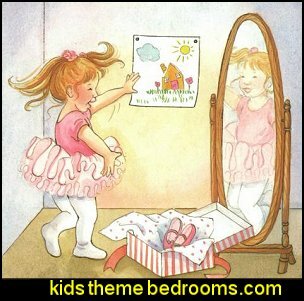 This set is constructed with a harlequin sewing pattern to enhance the theme perfectly. 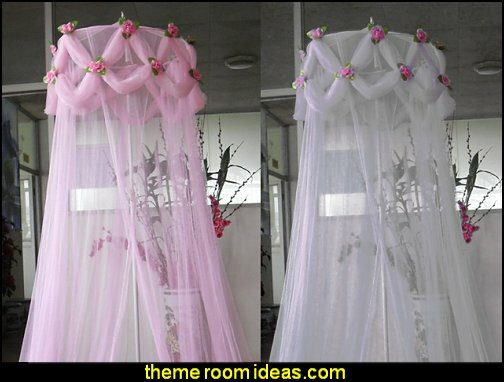 This set combines the colors of pink and white and is accented with blue, green, yellow and purple. 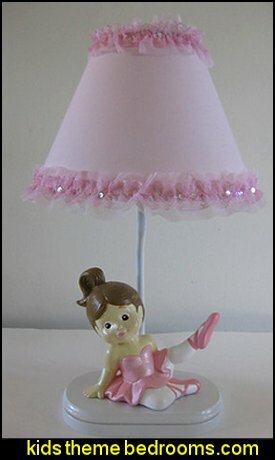 This Tutu Cute Ballerina Princess Lamp is a great addition to your dancer's room! 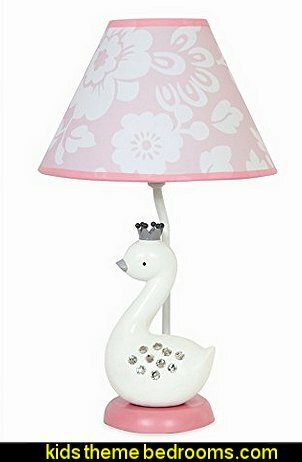 This lamp looks adorable with our Ballerina Princess Chandelier! 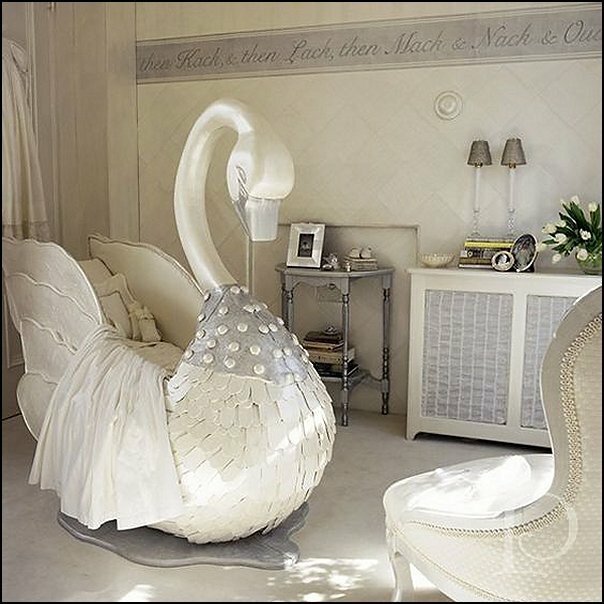 This beautiful crib ensemble has large, elegant embroidered bows, adorning a white, quilted diamond "Honeycomb" pique.Your loved one will peacefully dream bows in this luxurious set. 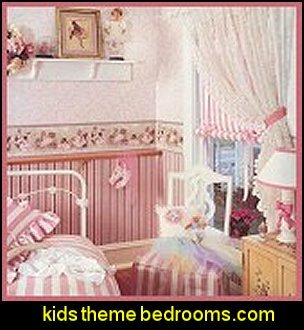 Ballerina Toddler Bedding Set features the feminine colors of pink and white in a lovely harlequin design. 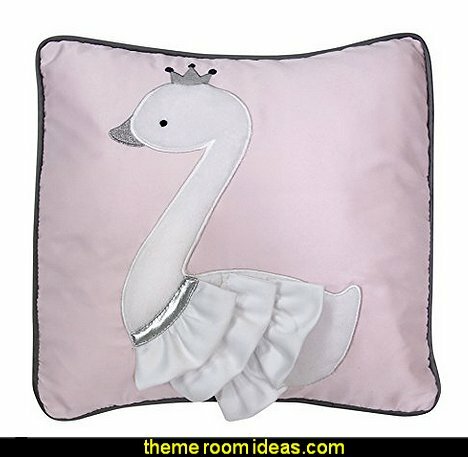 Appliqués and embroideries of dancing ballerinas in yellow, green, purple, and blue decorate the comforter and bumper with a most enchanting appeal. 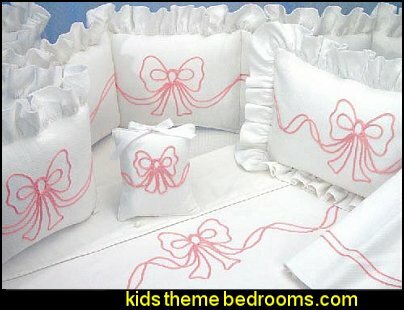 The set includes a comforter, pillow sham, fitted sheet, flat sheet, and pillow case. Choose from our optional coordinating items for the complete look. 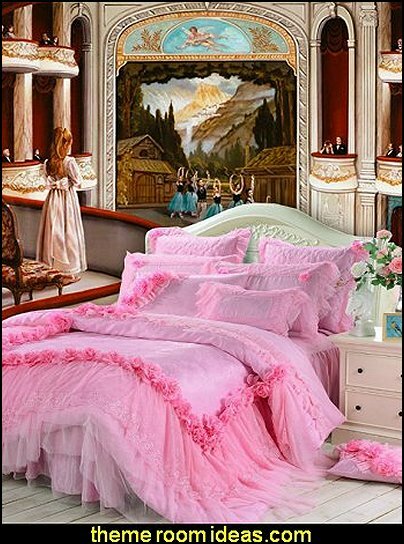 Dancing darlings with silky satin and flouncing ruffles make for a bedding set that could not be sweeter! 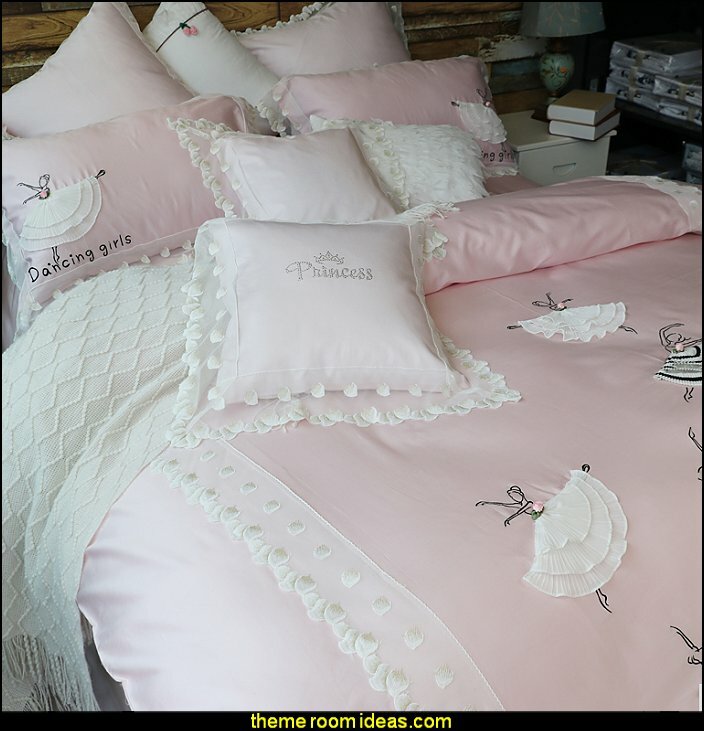 Arianna Bedding Collection will create a gorgeous nursery for your little princess. 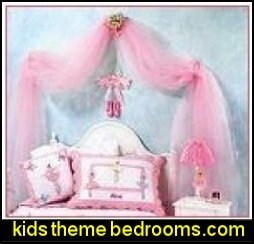 This 5 piece crib set features an array of opulent fabrics, such as pink and gray taffeta, white embroidered sateen, pink chiffon, and a beautiful rosette taffeta. 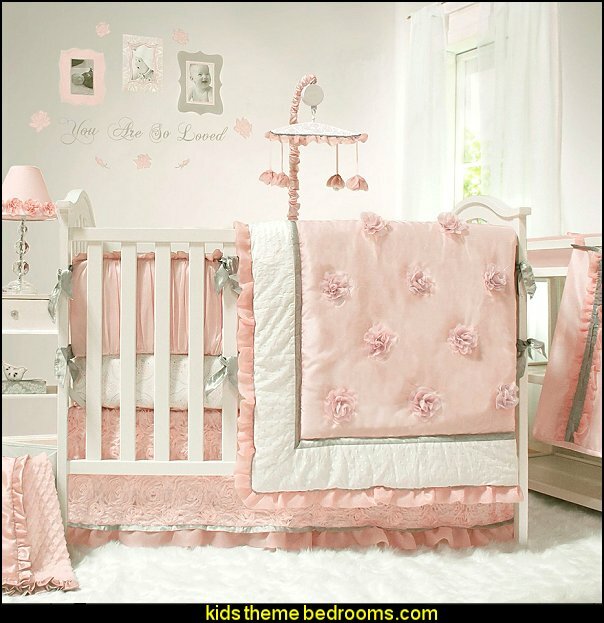 Includes a quilt embellished with delicate chiffon rosettes, a beautiful medallion print sheet, stunning rosette-covered dust ruffle, reversible crib bumper, and an adorable ruffled diaper stacker. 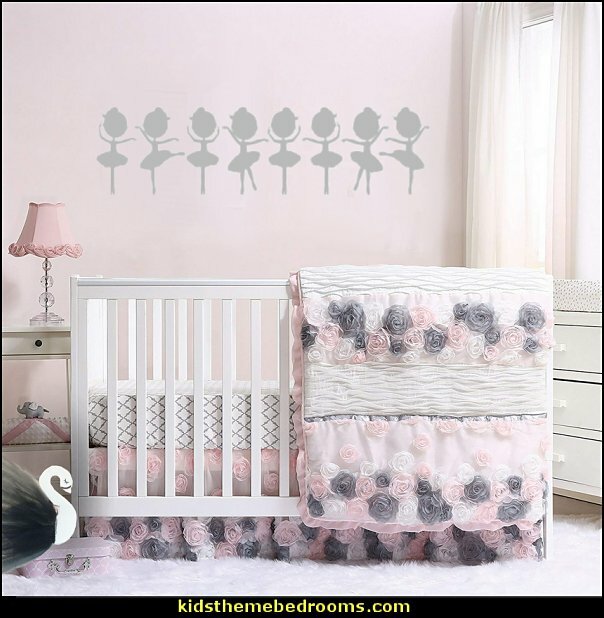 Stunning fabrics, soft colors and dimensional elements highlight this premium quality pink, white, and grey floral collection of essentials for your baby girl's crib. 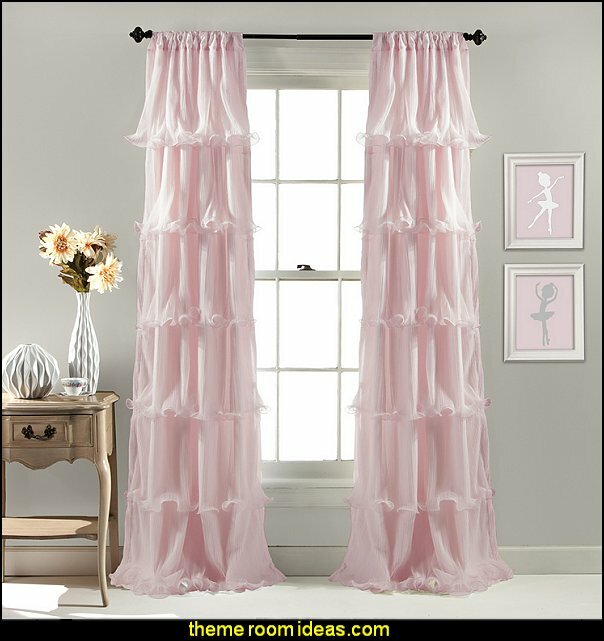 Sheer netting roses, textured taffeta, and satin ribbon in soft pink, white and grey create a combination of floral and texture that dance across the top. 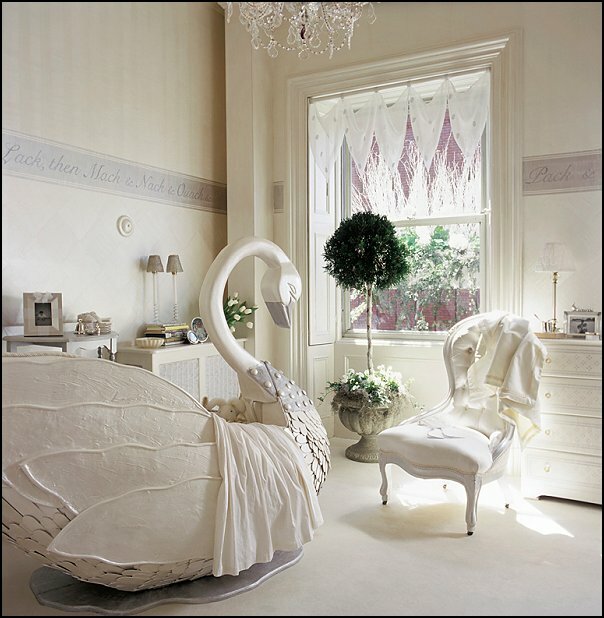 Piping on the edge and a ruffled border add refined touches. 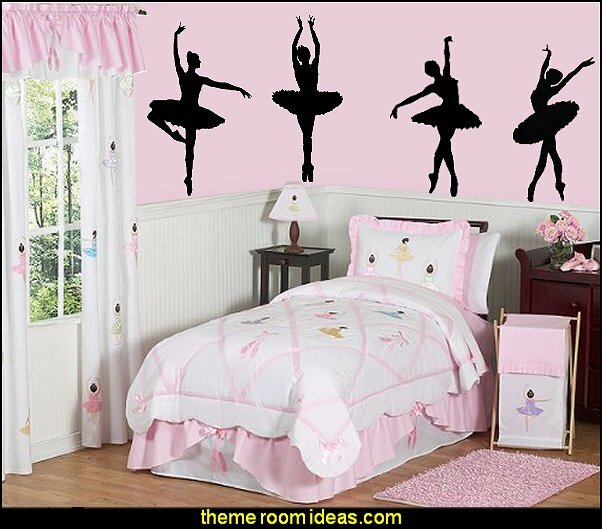 Join these graceful ballerina wall graphics in their elegant flower dance. 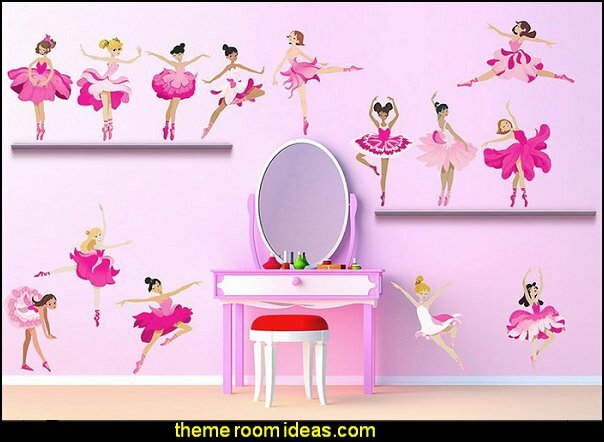 Choreograph this bouquet of 15 garden themed dancer wall decals around your room. Your little princess deserves no less than this exquisite and graceful bedding to get the most out of her sleep. Truly fit for a princess, this lovely set includes a coverlet, boudoir pillow, and a heart pillow. 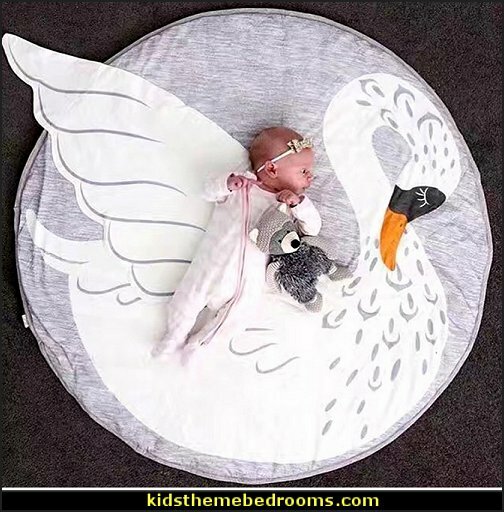 Made of fine silks, it is sure to provide a comfy dream place for your precious girl. 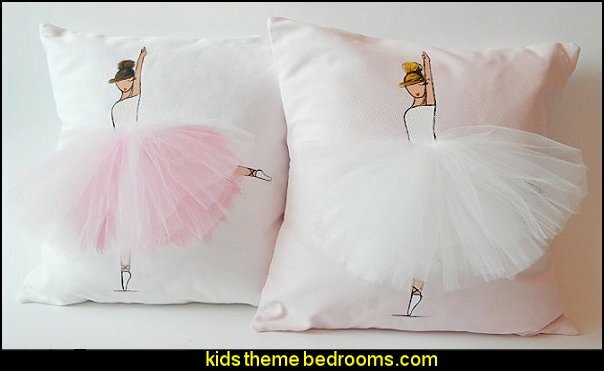 Grab your tutu - it’s time for ballet class! IT'S SEPTEMBER, AND it’s time for school - ballet school! 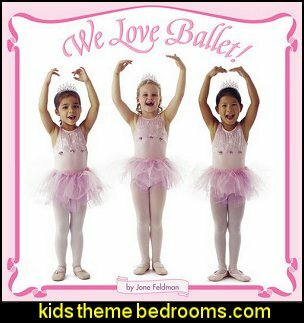 Join a class of the youngest ballet students as they learn about music, balance, teamwork, and even have a recital. 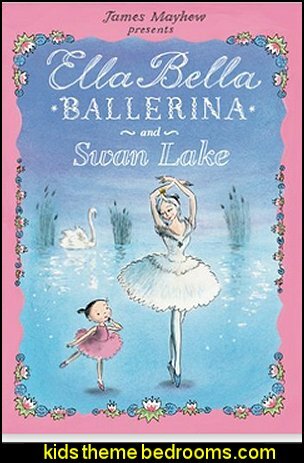 A perfect first ballet book. Tilly loves her tutu, and she never wants to take it off. She wears it everywhere - in the pool, at the zoo, even in the rain! 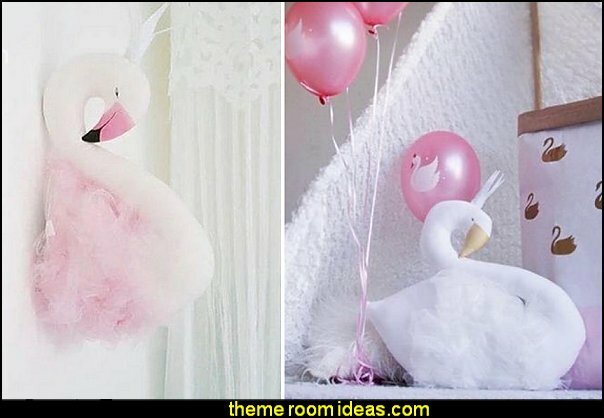 So what will Tilly do when her tutu accidentally gets torn? 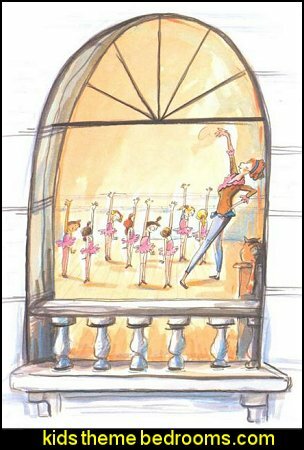 The newest title in Barron's charming Ella Bella series tells another story of Ella Bella, a little girl who loves to dance. 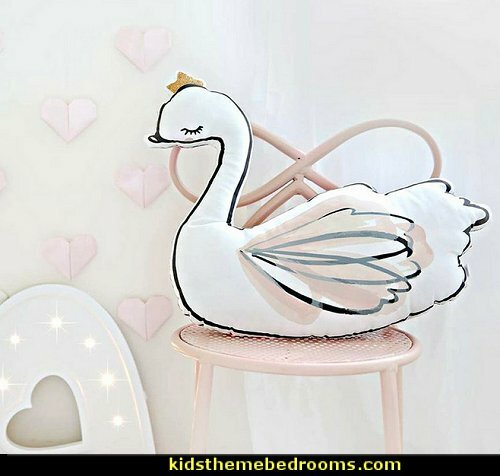 In this story, Ella's kindly ballet teacher Madame Rosa is preparing her class to dance in Tchaikovsky's immortal Swan Lake, and as Ella learns the story and listens to the music she is transported in a dream into Swan Lake's setting. 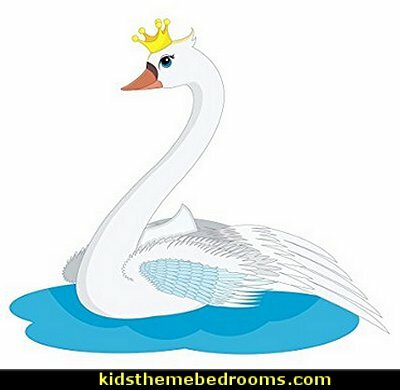 There, she meets Odette, a beautiful princess who is transformed into a swan by an evil sorcerer. 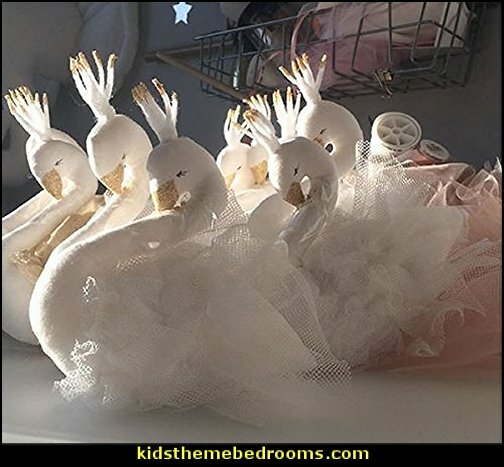 Christmas is coming, and Madame Rosa has prepared a surprise party for her ballet class. "Ella Bella, would you fetch the music box?" asks Madame Rosa. 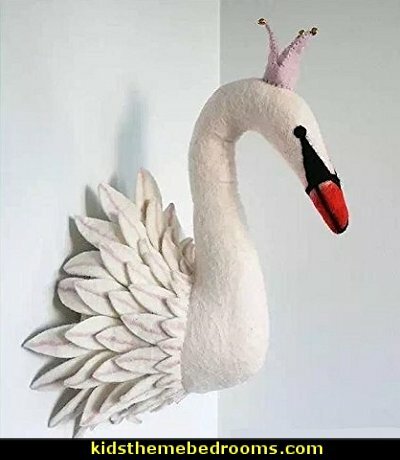 "Then we can have some dancing at our party." 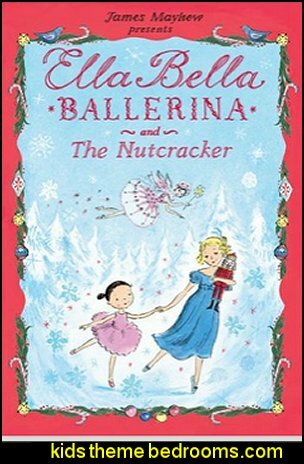 As the music begins playing, little Ella Bella is magically transported into the enchanting, festive world of The Nutcracker ballet. 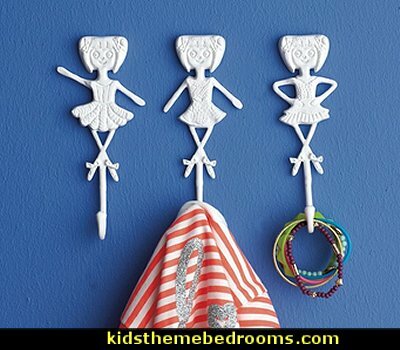 Ella and Clara must fight off the evil Mouse King so they can break the evil spell that has transformed a handsome prince into the Nutcracker doll. When the spell is broken and the prince comes to life, he leads Clara and Ella to a magic forest where they dance to the music of the famous Nutcracker ballet. 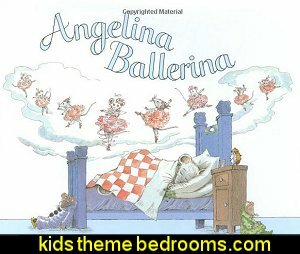 Katharine Holabird's "Angelina Ballerina" is fun for any aspiring ballerina. Angelina Mouseling - a wee white mouse - loves to dance, to the exclusion of all other activities. 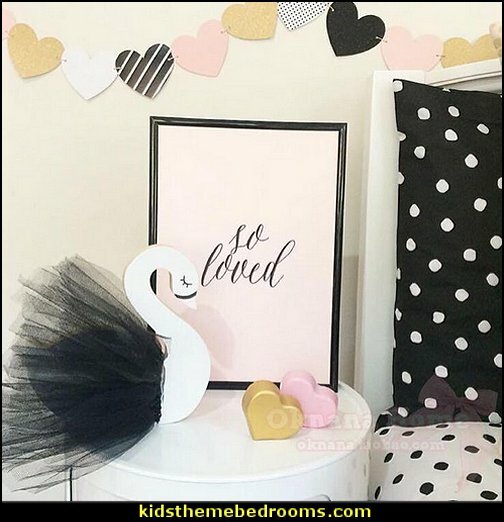 She won't clean her room, she won't help clear the table, she listens to neither her mother or her father because she is dancing, dancing, dancing at every waking moment. 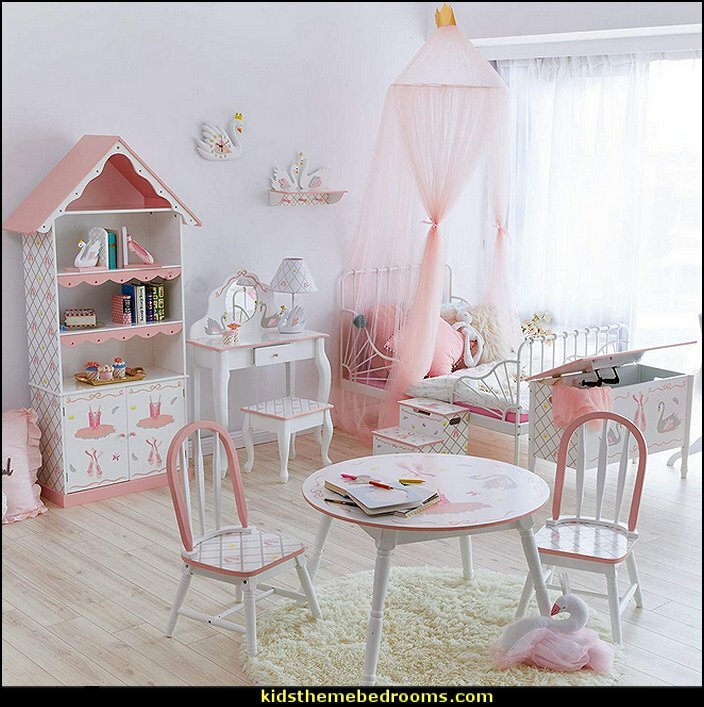 Everything changes when her parents recognize that her interest needs to be taken seriously. Mr. and Mrs. Mouseling do just that when they go shopping and come home with--ooooh! 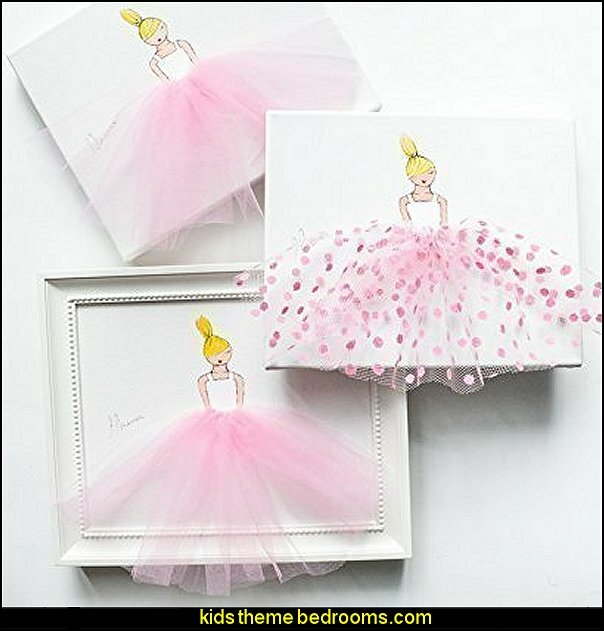 - a ballerina's tutu for Angelina to wear. Shortly thereafter, Angelina begins ballet lessons. 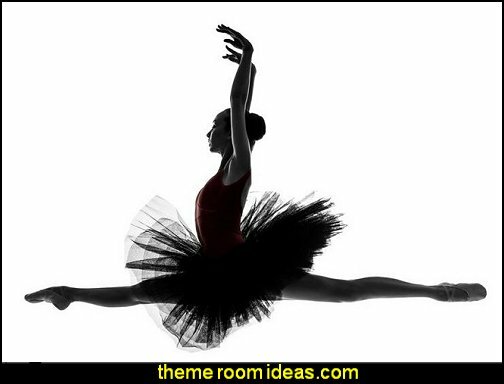 Her perseverence pays off and she becomes a famous ballerina. 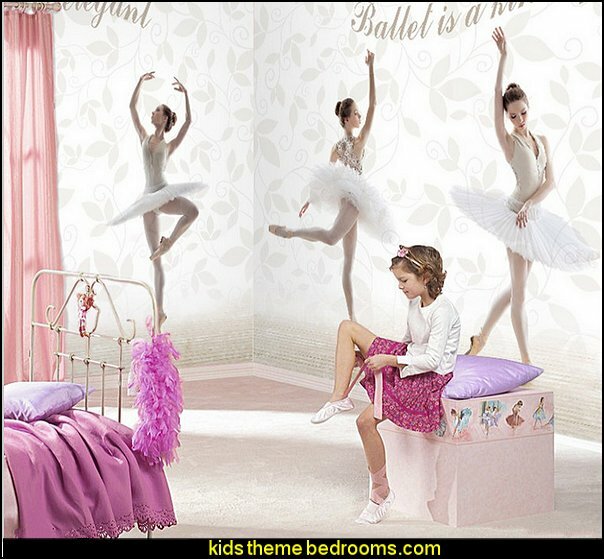 In the interim, however, the attention her parents have paid to her love of ballet pays off in the form of her willingness to do all the things she didn't want to do before, because now she can dance all she likes in ballet class and in recitals. Miss Lina has eight students in her house in Messina: Christina, Edwina, Sabrina, Justina, Katrina, Bettina, Marina, and Nina. In four lines of two, they dance doing math, while they read, at the park, at the zoo, and at the beach. But with the addition of a new student, Regina, the girls are unable to perform in their familiar formation and chaos ensues. 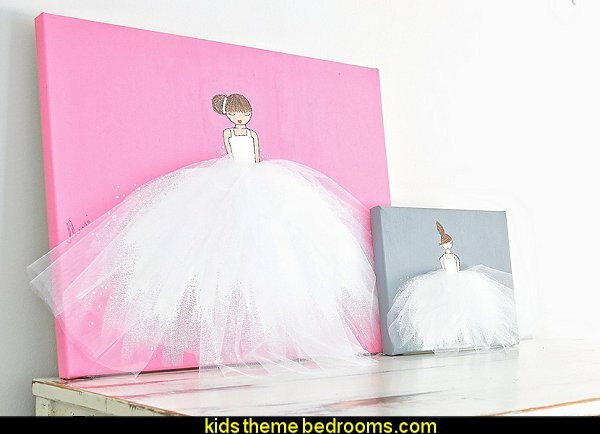 The delightful colored pencil and pastel illustrations, with an appropriate dose of pink, beautifully complement the simple, rhyming text.